This Glee 9.5Kw electric shower from Bristan offers sleek modern styling with is white control box with digital display indicator. 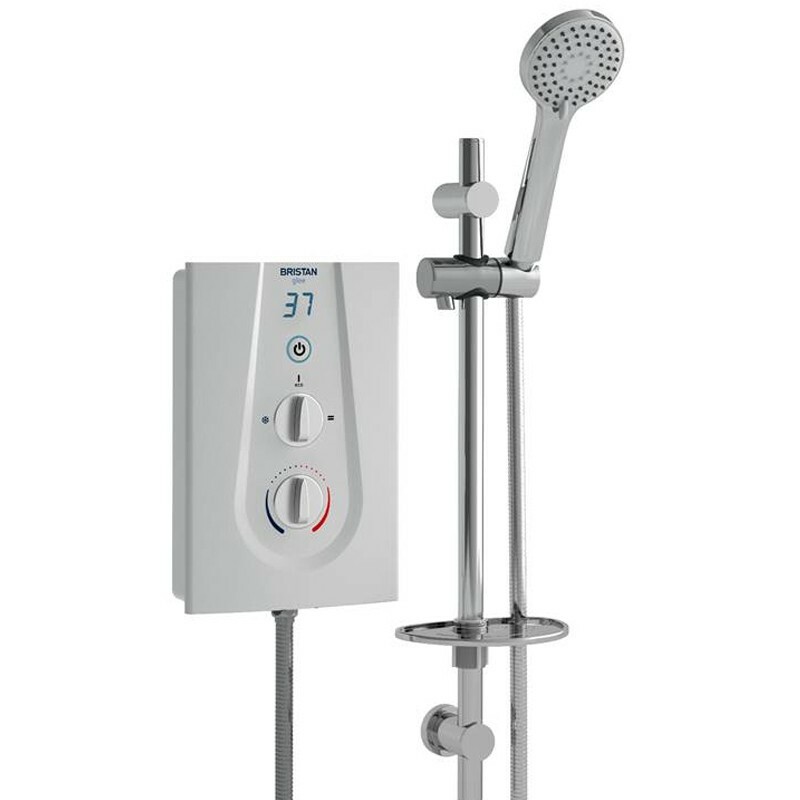 This Glee 9.5Kw electric shower from Bristan offers sleek modern styling with is white control box with digital display indicator. The push fit swivel inlet elbow allows for connection from five different directions, making this an option for replacing you old shower with ease without disturbance to your tiles. - Chrome 3 mode shower handset with rub clean jets for easy removal of limescale build up. - Chrome riser rail with adjustable bottom bracket to cover old riser holes. - Push button on/off control meaning desired temperature setting remains unaffected after each use. - Temperature stabilising device, compensating for changes in incoming water pressure. - Suitable for mains cold feed only, minimum 0.7bar pressure required. 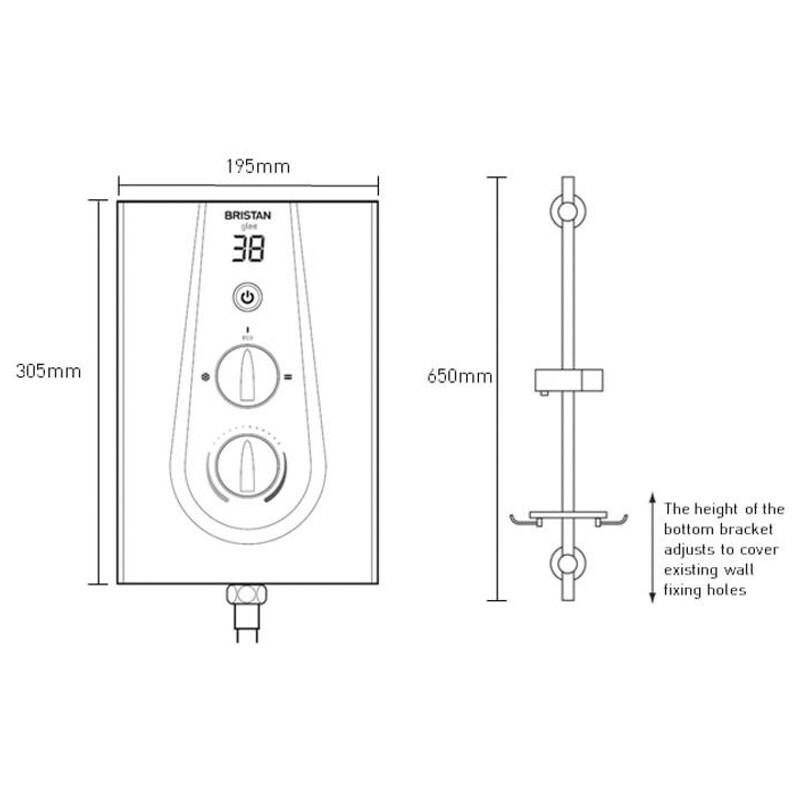 - Ideal replacment for the New Team and Showerforce 9.5kW electric showers MK3. 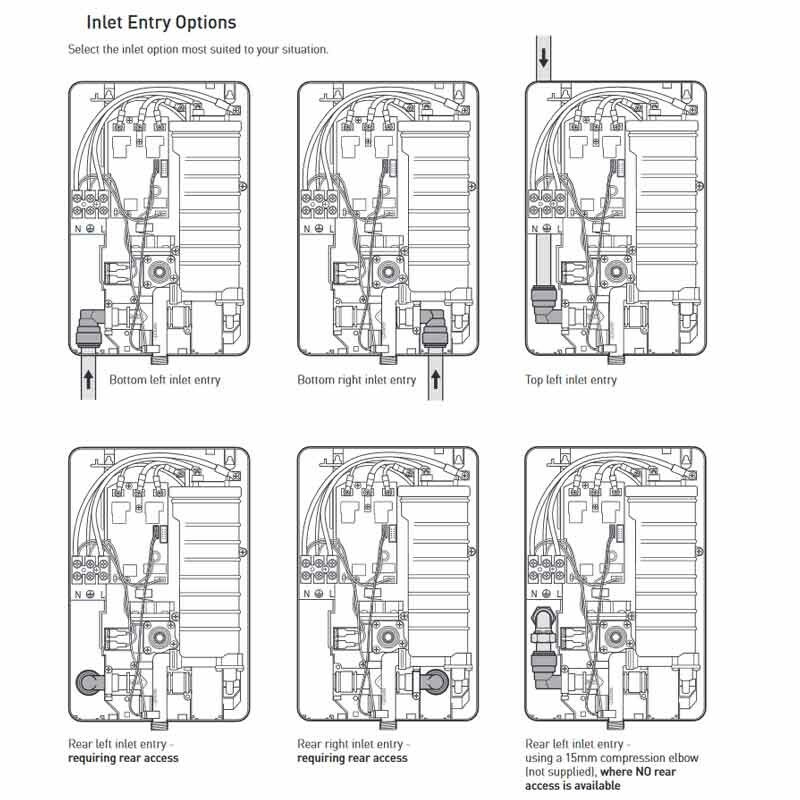 Easy installation and functions well. Easily fitted as described. Very efficient shower. Appears to be a very good shower. Will know better in the future months.